That’s how long employers and recruiters spend looking at a resume on average. The question is: will your resume be able to stand out in those few, precious moments? Whether this is your last semester of college or you’re still a freshman, having a resume is a must for any college student. But it’s not enough to just have one; it’s critical to make sure yours stands out from the rest. A good resume could be the difference between landing an interview for that job or internship you want or getting passed over for someone else. There are two major styles of resume: chronological and functional. The most common style is the chronological resume, which lists what you’ve done in reverse chronological order. In your education section, for instance, if you have a master’s degree and a bachelor’s degree, the former takes preference over the latter in a chronological resume. It’s best used when your experience relates directly to the prospective job you are applying for and shows that you don’t have any major gaps in your work history. A functional resume, on the other hand, lists your experiences based on your abilities, such as communication skills, technological skills or organizational skills. Under each skill, you list a few bullet points about how you have demonstrated those skills in the past. The functional resume is best used when you have gaps in your work history or if you want to transition into a new career field. 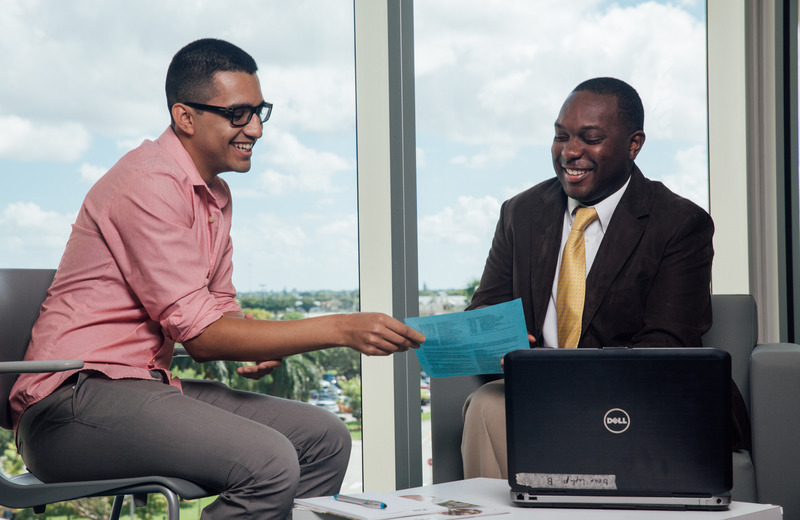 Check out samples for both types of resumes on the FIU Career and Talent Development page. For certain positions, employers and recruiters will be sorting through dozens or even hundreds of resumes. A good rule of thumb is to keep your resume to one page, if possible. “Keeping your resume brief will help you focus on what matters most and keep the attention of employers,” Hernandez says. A great way to keep your resume short and focused is to use bullet points, which will help employers quickly find the key words and information they are looking for in applicants. If you make employers and recruiters sift through paragraph after paragraph of information, chances are they won’t. Dump “me, myself and I” when writing your resume. A common mistake made by many young job seekers is creating one resume and sending it in with every job you are applying for. But resumes are not one-size-fits-all. One job you’re applying for might emphasize the need for strong teamwork skills and experience as a key factor while another job might put more value on management experience. The resume you send to each should be adjusted, even slightly, depending on what the employer is looking for. Attaching numbers to your skills and experience adds credibility and weight to both. Don’t just put that you wrote for the student newspaper; mention that you wrote 150 news articles while you were there. Don’t just put that you fundraised for Relay for Life; put down raised more than $1,000 for the event. Don’t just say you helped increase profits; say you helped increase profits by 10 percent. Try to avoid using the same adjectives and verbs when describing your roles in multiple positions you’ve held in the past. You also want to be strategic and use key words that will capture the attention of employers. If you’re looking for a job in marketing, do a quick Google search for the key skills and qualities employers are looking for in marketers. Job descriptions also hold clues. If it’s a management position, use key words like managed, supervised or coordinated to communicate that you have management skills. “Read that job posting that you are interested in and read it over and over until you find those key words to include in your resume,” Hernandez says. You can find a list of action words on the Career and Talent Development website to help you get started. If you’re not an expert in Microsoft Excel, don’t say you’re an expert in Microsoft Excel. Don’t exaggerate what you know, because it will come back to bite you. Before you send out your resume, make sure someone looks it over for glaring errors or grammar mistakes. The staff at Career and Talent Development at MMC, BBC and the Engineering Center will sit down with you and help you with your resume for free. “Nothing looks worse than having a nice resume and having spelling and grammatical errors,” Hernandez says. To find out more about resume writing or to set up an appointment with someone at Career and Talent Development, visit their website or one of their offices.